Sonu Nigam was born on the 30th of July, 1973 in Faridabad, Haryana. The family soon moved to Delhi where the singer spent most of his formative years. His father Agam Kumar’s passion for music was soon imbibed by Sonu in his early years and he soon began training under him.He studied only till the 12th standard in Delhi and coming to Mumbai he decided on a correspondence graduate program . Life was not smooth for the aspiring singer. To support himself he started taking on bit roles in movies. 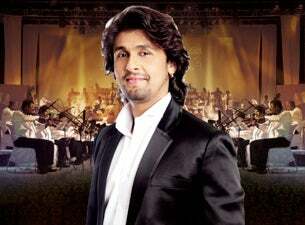 Read more about Sonu Nigam on Last.fm. Here are some industry leading presale databases we recommend you use if you're in need of a Sonu Nigam presale password to buy early tickets to see Sonu Nigam performing live. Getting your tickets early is a great way to get great seating and secure your tickets before they sell out during the public onsale.